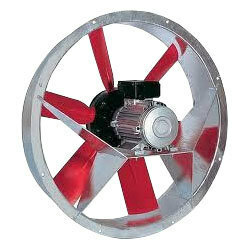 We are Manufacturer & Exporter of Tube Axial Fans. Axial Fans are suitable for large quantities of air at low pressures while producing very little noise. Compared with Centrifugal Fans, Axial Fans have the advantages of lower price, Shorter Ducts, reduced space requirements. Blow tech engineers Industrial Tube Axial Fans stand high as compared to other conventional Exhaust fans, which are not capable of solving such problems. These are widely appreciated for their superior functionality and basic functions of ventilation and air-conditioning.